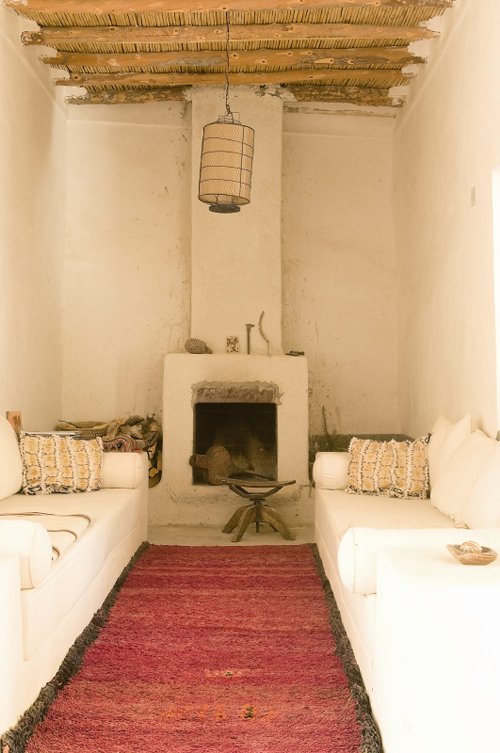 This rustic house is located in a rural area at the foot of the Atlas mountains in Morocco. The house had been abandoned for a long time before it was bought by the current owner. 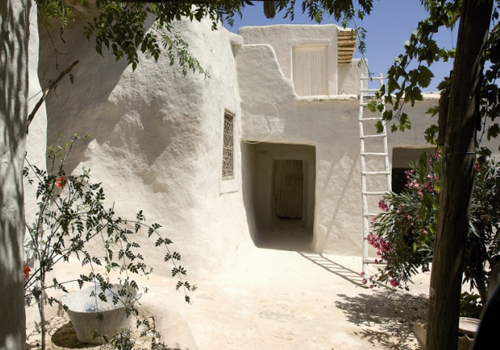 The renovation took over 1.5 years and was carried out with a sense of authenticity and respect for the architecture of the village. A spacious garden surrounds the house. The unusual interior is simple but with lots of rustic charm. I love the old silver trays in the kitchen that are used for decoration. Similar trays can be found at Le Souk. 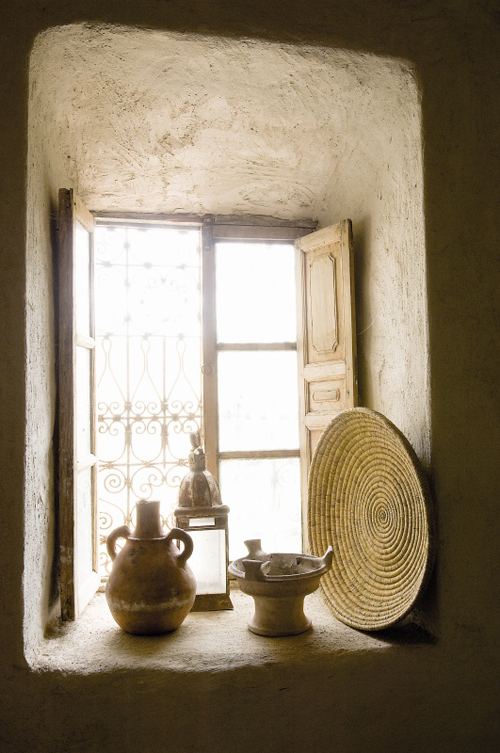 Most items were bought in Marrakech or at local flea and antique markets. Wow, what an amazing home! I love the wooden door and basket tables. I wonder if the owners live here full-time. Could you imagine sitting in that tub looking up and following the lines in the ceiling? that would be so relaxing and heavenly. This is a truely gorgeous home. 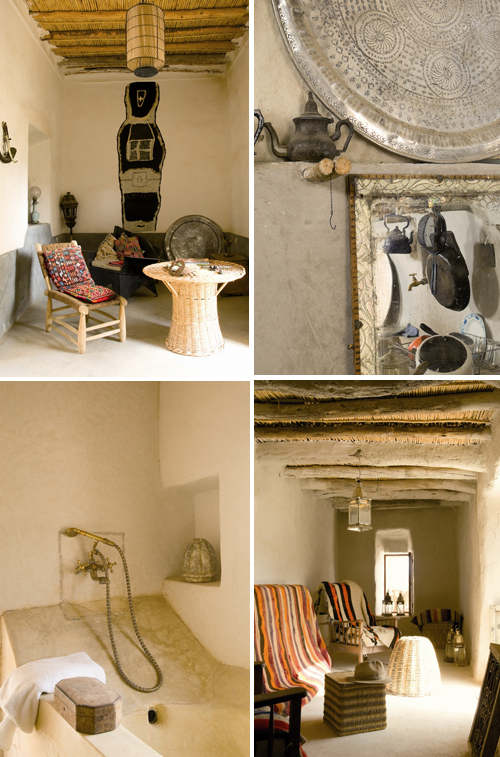 I love it all, the white wash, the black, white and neutral colour scheme, the exotic objects, the thick walls. 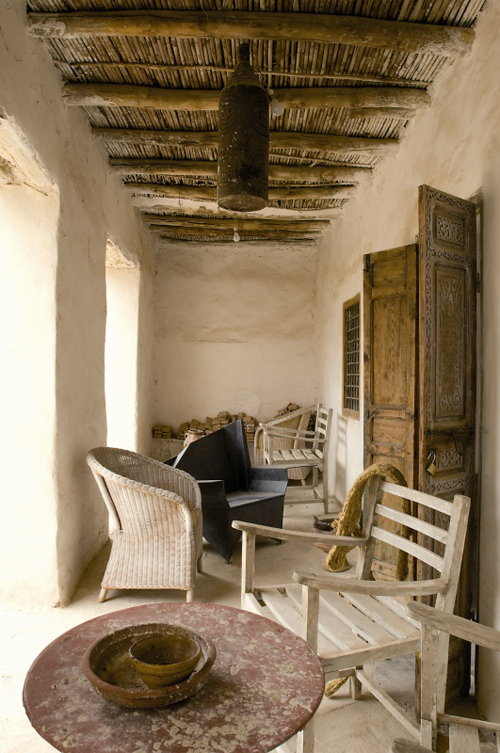 The house also has a raw, eco friendly, rustic feel that I just love. More of these types of pics please! Love the simple, rustic feel with wonderful light fixtures!! Renovated with such love and authenticity! I love the silver trays and wonderful fabrics! 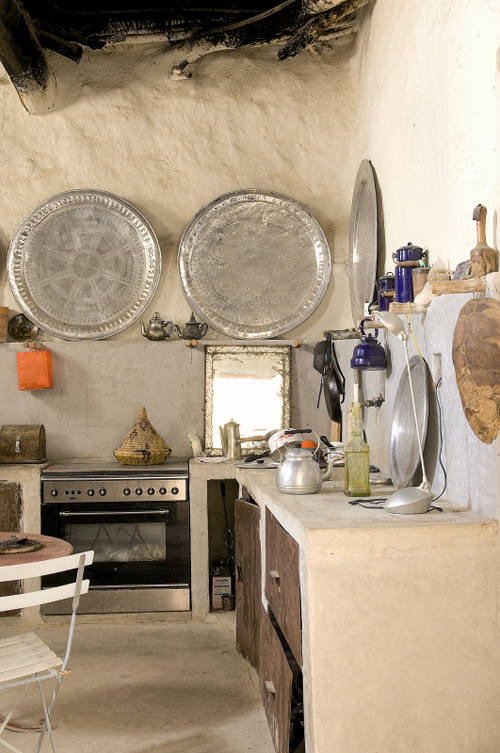 love this rustic moroccan interiors! yallah!! !